These units were held as spares on a Gas Project but never used. The packaging is generic due to rain damage on the original boxes. 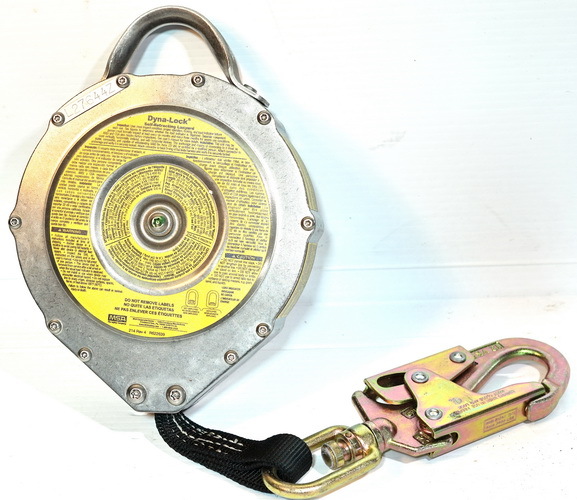 "The MSA Dyna-Lock® Self-Retracting Lanyards (SRL) are fast-acting fall arresters that limit free-fall distance, deceleration distance and fall arrest forces while allowing user freedom of movement. The Dyna-Lock SRL is ideal for climbing applications where vertical mobility is needed. 4.5 feet per second locking speed"